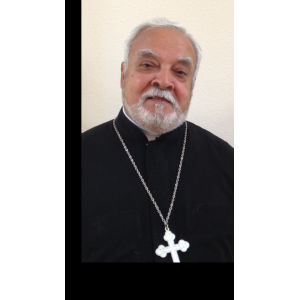 Archdeacon Botros Botros was born on April 30, 1944 in Egypt. In June 1965, he received a Bachelors of Science degree in Pharmacy from the Faculty of Pharmacy at Cairo University followed by a Masters degree in Pharmaceutical Chemistry in 1973 and a Ph.D in 1981. He worked as an Assistant Professor of Pharmaceutical Chemistry at the National Center of Research in Cairo prior to coming to the United States where he established several successful pharmacies and business. On April 27, 2013, His Grace Bishop Serapion laid hands upon and ordained him as an archdeacon to serve at St. Marina Church in Irvine.